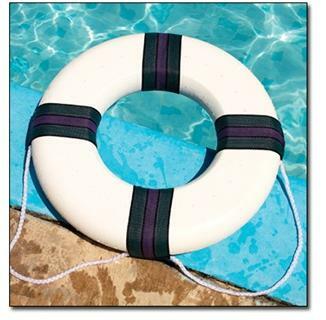 A classic Foam Ring Buoy with a tasteful multi-colored trim that brings safety and style to the swimming pool. FREE SHIPPING! 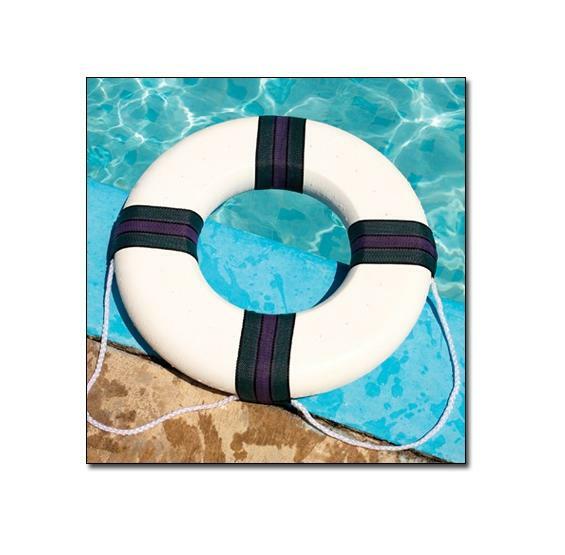 This foam ring buoy is the classic way to add safety to any pool area. 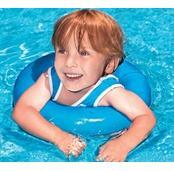 Its surface is soft for comfort but tough enough to withstand years of sun and weather exposure. It comes complete with a 7.5 foot nylon tow rope sewn to the straps (as pictured). The ring measures 18 in diameter.